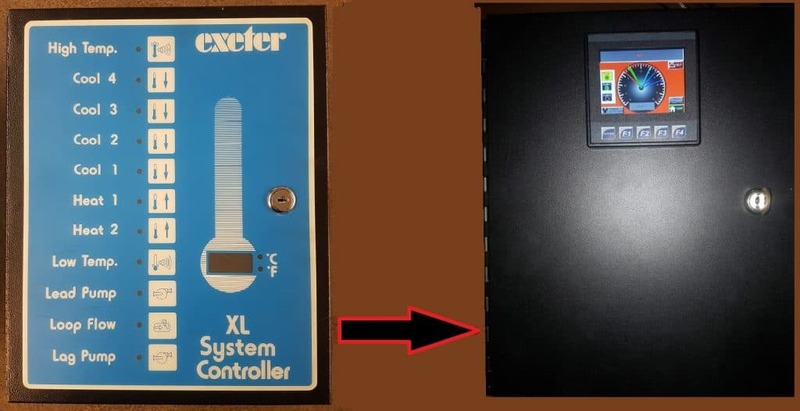 If you have an old EXETER panel controlling the heating and cooling for a water loop and it needs replacing then this is the panel for you. 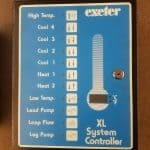 In its day Exeter made an excellent control panel for buildings with WATER SOURCE HEAT PUMP SYSTEMS. However they are not in business anymore. We have come up with a new modern, easy to use control panel to meet your needs. It includes 4 stages of cooling, 2 stages of heating, flow proving and lead/lag circulation pump control. All settings are easily adjusted from the color touchscreen. 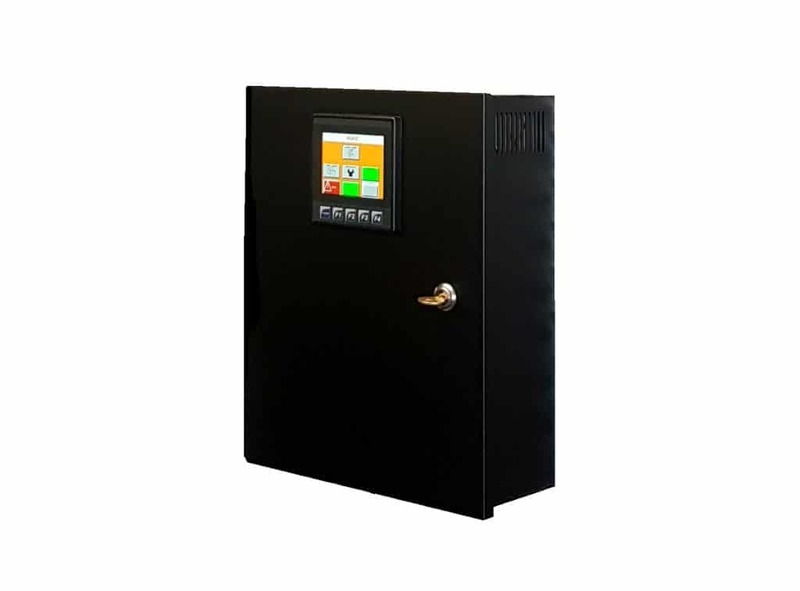 It is by far the best heat pump system controller. We have designed the new panel enclosure to be exactly the same as the old enclosure. This means you do not need to remove the old enclosure (back box). You only need to strip all of the old components out and install the new Flexeter components and door. 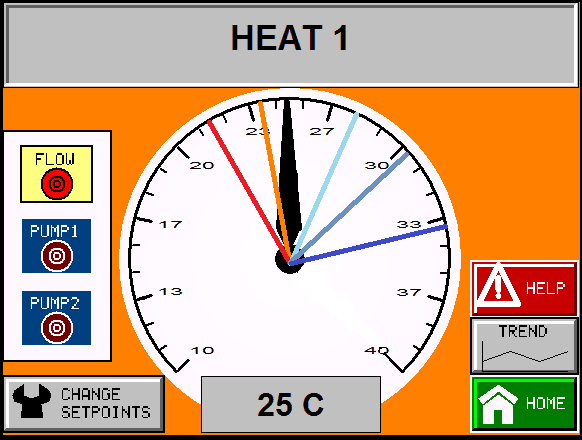 Expansion Packs: Indoor Holding tank level controls for cooling towers, High Temp Loop/Boiler Reset controls and additions Lead/Lag flow proving controls.